While Firefox 6 is slated for an official release on Tuesday Mozilla has already thrown up the installation files on its FTP server for those who want to get their hands on the final code early. The next version of the popular open source browser doesn't bring major UI changes, but it is reportedly 20% faster than Firefox 5 and adds a few tweaks to improve plug-in management as well as site-specific permissions tool -- both of which were available since the beta. The latter is accessible by typing "about:permissions" in the browser's address bar and will let users determine on a site per site basis whether to store passwords, cookies, enable location sharing, allow pop-ups, among other things. Startup times have also been improved for users with a ton of tabs and groups: you can now choose whether to load your tab groups when launching Firefox or load them within the Panorama grouping tool. Another subtle change that Firefox users will notice is that the address bar now highlights the domain of the website you're visiting, just to make it easier to identify on a quick glance. 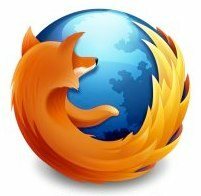 As usual, Firefox 6 is available to download for Windows, Mac, and Linux systems.